Try out a Real Chatbot to see what it's like. "Besides the killer open rates and conversions, this is the next big thing in marketing and sales." 4 Reason's Your Business Should Take Messenger Marketing Very Seriously! ​It's rare ​to find such a powerful marketing tool & channel totally untapped and uncluttered, ripe for the taking. ​Brands are consistently posting far higher response & conversion rates than email. 4X to 5X more in many cases! ​Facebook is investing heavily into messenger providing businesses a new way to ​​​target and monetize FB users more effectively. ​Have ​direct, interactive conversations that are tailored to your subscribers preferences using ​smart tagging , segmentation & automation. ​Influence your market with a chat bot that builds ​relationships ​​by providing value, making sales a breeze. ​Leverage the channel to rule all channels: Messenger Marketing​​​. "​We believe in 2022, companies will have messenger bots on all platforms that are so sophisticated, they’ll be the preferred way for their customers to do business with them. " What can a chat bot do for my business? ​Drive subscribers, leads and even boost sales directly using intuitive and intelligent sales funnel sequences. Think email 5-10 years ago except with 80%+ open rates. ​Easily provide tailored support information for any queries prospects or existing customers might have. Think of it as an interactive knowledge-base and FAQ section specific to the client's particular ​questions, concerns or needs. ​The future of digital marketing and customer experience is here, whether you're ready or not! 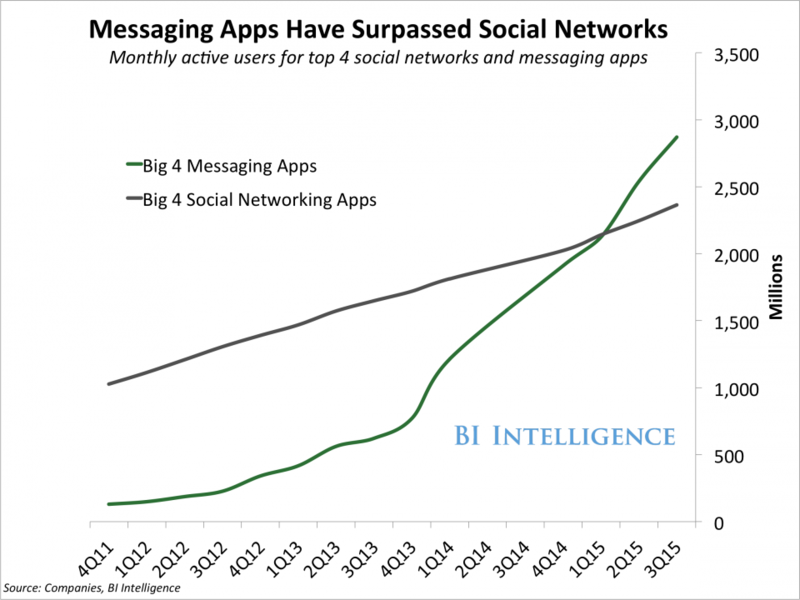 ​Business Insider reported the number of people on messaging apps surpassed the number of users on social networks. Looking for a bot agency? Our bot agency develops chatbots for other agencies. Our largest client is a chatbot agency Australia. Chatfuel seems the most popular tool to create messenger bot, here is the full Chatfuel tutorial. One of the major issues though is Chatfuel pricing. Is Chatfuel really is best? Well decide for yourself, here is a full Chatfuel Review. Are there Chatfule alternatives? Yes absolutely, the Chatfuel competitors are Botsify, Manychat and about 100 others. Here is a Botsify Review. What is Facebook bot? Well for an in-depth understanding view this Facebook Messenger Bot tutorial. Once you have completed the Facebook chatbot tutorial you can have a look at a few demo chat bots online. All these providers connect to Facebook through the Facebook Chatbot API. The best route of action is really to get a chatbot Facebook developed by a professional chatbot agency such as ChatBot.co.za. The chatbot Google developed made headlines this year after it completed an entire conversation with a stranger, that is quite amazing. There are some chatbot open source scripts available to download for free from the internet but you have to be familiar with coding and even if you are this will take considerable time to implement. A chatbot is an application which automates the chat function on a number of platforms including websites, Facebook, twitter, skype, sms and many others that are used in sales, marketing and customer support. The advantages of a chatbot are quite obvious, less people required to do more work in terms of communication. When chatbots were first introduced they were very obviously software but as the market grows chatbots become more and more "natural" and it is sometimes impossible to see whether you are chatting to a bot or a human. The goal of chatbots are different, they can act as either process management (eg taking orders), sales (have a sales funnel attached to their conversation), marketing (get the client to leave their details) or customer support (product related queries). With process management chatbots we use prompts to direct the client into taking decisions based on the options available. Many companies employ this as method of increasing productivity and decreasing workload at the same time. This is almost a no brainer for business. In more complex circumstances a part of the chat can be automated and then handed over to a live agent. The dream come true for many companies. A sales chatbot is designed to take the customer on a journey with the end-result being a sale. It is important for this process to be tested and optimized over time as it can have a massive effect on sales. Many chats can be handled at the same time and therefor many sales could be potentially concluded at the same time. As with the previous example the chatbots used in sales are often used as a filter to determine the likelihood of the client making a purchase. If it is established that the client is a potential sale then the client can be handed over to a live sales person to close the sale. A marketing chatbot is developed with the purpose of collecting leads. The chatbot is often attached to an email list through applications such as Mailchimp. Once the lead is collected by the bot it can automatically be sent to the sales department to make a sales call. Chatbots are very successful when used for this purpose and promotional offers can be added to the code to incentivize the potential client to leave their details. The contact details can be captured directly from the chatbot and there is no need for the client to fill out forms. Studies have shown that customers react negatively towards forms but will happily give their details when requested in chat format. As the name suggests this bot is developed to aid in customer queries. As with the previous bots most support queries would be repetitive and could be programmed into the chatbot. There is a lot of time spent in directing clients to self-help portals on websites and certain documents. With a chatbot this is all automated and your support team can deal with issues that warrant their full attention. This also allows support teams to focus more on retention and less on repetitive client queries. As with the previous examples a support chatbot can qualify the need of the client to talk to a support agent. If the criteria are met an email will immediately be sent to the support desk. 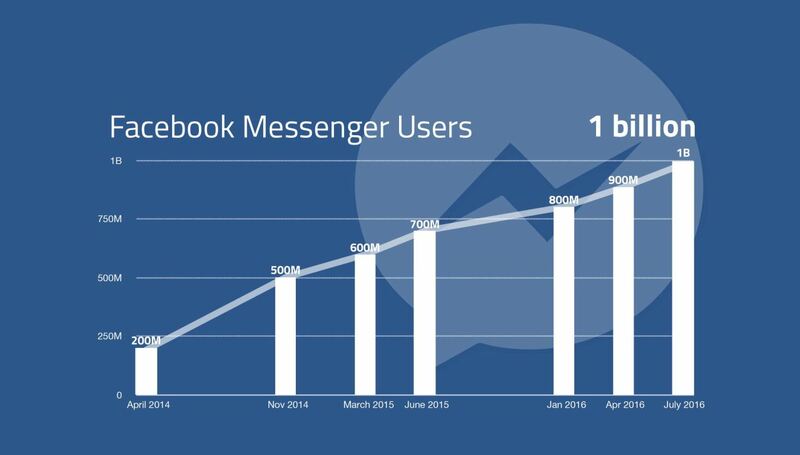 Facebook messenger is quickly becoming one of the most used instant messaging platforms on both mobile and desktop chat. Facebook allows for automation and therefore chatbots to be used. The bots will perform the same function on Facebook as previously discussed. The Facbook Messanger Chatbot is perfect for process, sales, marketing and customer support. The great thing on Facebook is that the bot can invite people to events or show them offers. It is a must have for any business with a Business on Facebook. This is very helpful for SMEs that don’t have the budget to employ permanent social media staff. There is no limit to how many bots are used, you do however need to comply with twitter rules and guidelines and it is strongly recommended that you use real identities and profiles when going this route. Email automation has been around for a few years now. Most businesses do not use it to it’s full potential. The fear is often the loss of control when automation is introduced. The truth of the matter is that automation will have to be introduced at some point and that might as well be now. When proper automation is implemented with checks and balances then it can make a huge difference in optimizing an organization. Automated email includes responses to certain key phrases or questions. It also includes a series of emails which prompts users to choose certain options which then in turn triggers the next email. As with all chatbots email automation can be used for various purposes and is only limited by the imagination of the company and the skill of the developer. Skype is one of the (if not the) most used messaging platforms for business. As such it is a perfect place for automation in the form of chatbots. A skype chatbot is used for similar purposes as mentioned in the bots before. The key here is to remember it is often B2B and therefore one should be sensitive to use it as an information guidance system rather than a sales tool. As mobile chat is massive this is a great place to offer your clients support and is also a great platform for marketing products. In third world countries this is especially true due to the lack of PCs. Almost all business in these countries (South Africa Included) is concluded by phone. It is of the utmost importance that your business introduce relevant communication channels to gain market share in this current environment. Your competitors are all getting on the bandwagon of automation. This allows them to spend less time on time wasting activities and more time on generating new revenue. The time saved by automation will allow for a push in sales and marketing. If you are left stranded in the past you will not be able to compete in the future. Chatbots are relatively inexpensive, especially if you compare them o the salary you would have had to pay people to deal with the same number of tasks. Chatbot SA offers great value for money and will customize your chatbot to best optimize your business. We have worked with tons of SMEs and we know how this small tool can change a business. Just think of all the processes you can automate right now. Automating these processes will save you tons of time and money and more importantly allow you to move your business forward and stay competitive. As for the disadvantages of Chatbots. Well to be honest they cannot quite replace a SKILLED human yet but when developed correctly pose very little risk to the company. As there are hundreds of applications we have already tested we know how to program and monitor bots and improve them over time. If you are apprehensive we suggest identifying a small part of your business to test this on and then roll out later when you feel comfortable that this is the right option for you and your company. We did not mention all the platforms available for chatbots as there are too many of them. If you have a specific platform in mind contact us and we will advise you whether we are able to build a chatbot for you. All major platform allow automation or are in the process of doing so. We can program bots in various languages as well ( we may require a translator ) which helps tremendously in some business sectors. We pretty much live on the rule that is you can dream it we can do it. Let us know what project you have in mind but we will almost certainly be able to execute it to your complete satisfaction. Try out a Real Chat Bot to see what it's like. Instead of boring old email, click the button below and give your contact details to George our chatbot! George will assign a human to you ASAP!